How Does ClearCorrect Work? Your Dentist in Enterprise Answers! After seeing one too many pictures of yourself on Facebook, you decide it’s finally time to do something about your misaligned teeth. Metal braces are simply out of the question, as you imagine they’ll just make you look like you’re 14 years old. You do a little research online for alternatives, and you happen upon a treatment called ClearCorrect. It says it can effectively straighten your teeth without metal braces and in less time as well. This sounds too good to be true, but is it? Your dentist in Enterprise is happy to let you know exactly how ClearCorrect works so you can know if it’s the right treatment for you. ClearCorrect is an orthodontic system that completely does away with traditional metal brackets and wires. 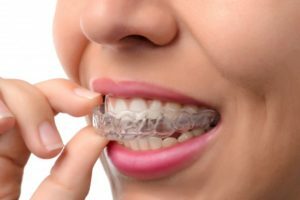 Instead, it uses a series of custom-made, clear plastic aligner trays to straighten the teeth in the most subtle and comfortable way possible. Similar to braces, the trays work by placing a consistent but gentle pressure on the teeth to move them into the proper positions. The trays are made using an impression of a patient’s teeth, and they simply need to wear each one in the series all day for about three weeks. As a patient works their way through the series, their teeth will become straighter and straighter, and before they know it, they’re done! It’s just that simple, and it’s why more and more adults are choosing to use ClearCorrect to straighten their smiles. In fact, ClearCorrect has been shown to straighten the teeth in just a fraction of the time compared to traditional orthodontics, able to deliver final results in just 8-18 months as opposed to 2-3 years with braces! People who don’t want their daily appearance to be affected by noticeable metal braces. Those who don’t want their orthodontic treatment to change their diet (you can just take the trays out whenever it’s time to eat!). Busy patients who don’t have time to make frequent progress checks. Patients with metal allergies or sensitivities that would make traditional braces uncomfortable. 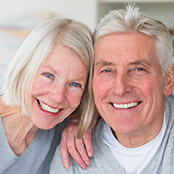 Patients who want to straighten their smile as quickly as possible. If you would be interested in straightening your smile with ClearCorrect, then your first step is to simply schedule an appointment with your cosmetic dentist in Enterprise. They’ll perform a brief exam, make sure you don’t have any outstanding dental problems, ask about your goals, and then go over your treatment options. If they believe that you are a good candidate for ClearCorrect, they’ll start by taking an impression of your teeth and sending it to a ClearCorrect lab to make your trays. You’ll pick them up a week or two later, and then you’ll be well on your way to getting the smile you’ve always wanted! ClearCorrect has already helped millions of adults get the treatment they need without affecting their appearance or daily habits, and it can do the exact same for you, so be sure to ask your local dentist about it today! Dr. Tyler Schaffeld has worked his entire career to combine the best aspects of art and science in order to deliver the highest quality dental care possible. 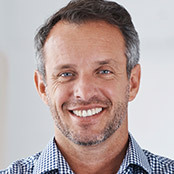 At his Enterprise-based practice, he and his team offer a wide array of services designed to create beautiful smiles, including ClearCorrect. To learn more about this treatment and other ways Dr. Schaffeld can give you the smile of your dreams, contact him today.